TOWSON, MD. 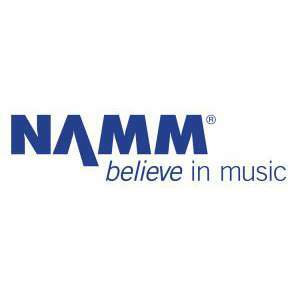 – Baltimore County Public Schools has been honored with the Best Communities for Music Education designation from The NAMM Foundation for the 13th consecutive year. The Best Communities for Music Education designation is awarded to districts that demonstrate outstanding achievement in efforts to provide music access and education to all students. To qualify for the Best Communities designation, BCPS answered detailed questions about funding, graduation requirements, music class participation, instruction time, facilities, support for the music program, and community music-making programs. Responses were verified with school officials and reviewed by The Music Research Institute at the University of Kansas. Baltimore County students can choose among extensive offerings including courses in music and audio technology, world music, and Advanced Placement music theory. Students perform throughout the community in choral groups, jazz ensembles, steel bands, orchestras, and marching bands. In addition, partnerships with some of the area’s leading arts organizations, including the Baltimore Symphony Orchestra, provide opportunities to see and interact with professional performers. Research into music education continues to demonstrate educational/cognitive and social skill benefits for children who make music. In a series of landmark studies by scientists and researchers at Northwestern University a link was found between students in community music programs and lifelong academic success, including higher high school graduation rates and college attendance. In another study from the university, it was discovered that early exposure to music education improves how the brain processes and assimilates sounds, a trait that lasts well into adulthood. The 2015 study “Striking A Chord”, supported by the NAMM Foundation, also outlines the overwhelming desire by teachers and parents for music education opportunities for all children as part of the school curriculum.